In the developing world, childhood diarrhea is a serious problem with often fatal consequences. Many throughout the western world would be surprised to learn that in 2009, the World Health Organization estimated that childhood and infant diarrhea kills over 1.5 infants and toddlers each year worldwide. The good news is that there is hope on the horizon. A recent study has shown that of all things the mineral zinc can help to reduce and prevent instances of infant diarrhea in the developing world. The occurrence of diarrhea in newborn babies and infants may be dramatically reduced when mothers take zinc supplements throughout the course of their pregnancy, according to a new study spearheaded by Dr. Laura E. Caulfield, of the Center for Human Nutrition, Department of International Health, Johns Hopkins Bloomberg School of Public Health in Baltimore. The study took place in Lima, Peru, and involved 421 pregnant women, 214 of whom took sinc supplements during pregnancy and 207 of whom took a placebo. The former group took supplements consisting of 15 mg of zinc, as well as folic acid and iron supplements. The 207 women in the control group took only folic acid and iron supplents, to go along with a similar-looking placebo in place of the zinc supplement. 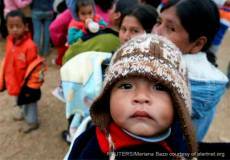 Infant and childhood diarrhea is a severe and often fatal problem throughout much of the developing world, including countries such as Peru, which is where the study’s efforts were concentrated. A lack of readily available clean water is often a leading cause of the bacterial infections that cause severe diarrhea. Zinc deficiency is also a common health problem throughout the developing world. This often compounds the problem as it related to childhood and infant diarrhea. The mineral zinc is widely renowned for bolstering human immunodefence systems, and consequently helping to stave off disease and illness. Zinc deficiency dramatically increases the risk of death from diarrhea-related illnesses, as well as a number of other health maladies plaguing the developing world, including pneumonia, malaria and a myriad of other diseases of various natures. The World Health Organization has now issued a doctrine recommending zinc supplementation in conjunction with rehydration therapy as a means of treating acute diarrhea, as past studies have indicated that zinc therapy can help one get over severe bouts of acute diarrhea more quickly when supplementing with zinc. It is recommended by this author that those taking zinc supplements do so after eating, as taking zinc on an empty stomach can quickly lead to an upset stomach and ptentially even vomiting. The study was initially published in the The Journal of Pediatrics in March of 2010. Meningitis is the infection and inflammation of the membranes (also known as meninges) and fluids (cerebrospinal fluid) surrounding the brain and spinal cord. The most common causes of meningitis are bacteria and viruses, and the victims of the infection are typically children under the age of five. Bacterial meningitis is typically more severe in nature than the viral variety. The early symptoms of meningitis are often mistaken for those of influenza (the flu). Thus, people experiencing severe symptoms similar to those of the flu should consider seeking medical attention, particularly if the person is a child younger than five years of age, in which case the child’s parents should bring him or her to a doctor to be examined. Some types of meningitis are contagious. A person can be exposed to the bacteria when someone with meningitis coughs or sneezes. The bacteria can also spread through kissing, the sharing of utensils, cigarettes, etc. Living or working in the immediate vicinity of someone with the disease may also pose a significant risk of contacting the disease. Meningitis strikes suddenly, usually accompanied by a high fever, severe headache and vomiting. As the disease progresses, the brain swells and may begin to bleed. The disease is potentially lethal, resulting in fatalities in about one in every ten cases. Many of those who survive meningitis may have serious long-term neurological complications such as vision and/or hearing loss, brain damage and loss of the ability to speak. The disease occurs most frequently in young children under the age of five, young adults ages 18-24 and senior citizens. The predominant theory is that this is largely due to the congregation tendencies of those individuals. College students living in dormitories, personnel on military bases, boarding schools and daycare centers are all at an increased risk of meningococcal meningitis, largely because infectious diseases tend to spread quickly when large groups of people congregate. There have been studies suggesting that smoking and drinking alcohol may increase one’s risk of meningitis. The theory at play here is that those activities may suppress a person’s immune system, thereby making him or her more susceptible to the disease. The definitive diagnosis of meningitis is usually made by way of analysis of a small sample of cerebrospinal fluid (CSF), which is extracted through a procedure known as a spinal tap (lumbar puncture). Acute bacterial meningitis requires immediate treatment with intravenous antibiotics which help ensure recovery and reduce the risk of complications. The antibiotic or combination thereof used depends upon the type of bacteria causing the meningitis. Corticosteroids are often administered to help prevent hearing loss — one of the most common long-term complications of the disease. Mild cases of viral meningitis are are usually treated with bed rest, plenty of fluids and sometimes analgesics to help reduce fever and body aches. If the herpes virus causes the meningitis, antiviral medication may also be prescribed. Reducing risk factors for meningitis starts with avoiding exposure to unnecessary upper respiratory and gastrointestinal infections. Something as simple as careful handwashing is among the best ways to stave off infection and thereby reduce the risk of meningitis. Parents should teach their children to wash their hands often and thoroughly. Getting enough rest, exercising regularly and eating a healthy diet are all ways to boost the immune system, which in turn helps to prevent diseases like meningitis. Vaccines are now available for hemophilus influenza and pneumococcal meningitis, and can be administered starting at around two months of age. Another vaccine exists that offers some degree of protection against meningococcal meningitis. Both the Centers for Disease Control and Prevention (CDC) and the American College Health Association recommend the vaccine for college students. Childhood Obesity is on the up-and-up, and children are becoming obese at a younger and younger age, this according to a study published in BMJ. A large group of children were observed for a ten year period. The results were an increase in both weight and BMI (Body Mass Index) in children ages one month to four years. Interestingly, no corresponding upward trend in the height of the children was observed during the study. So what is Body Mass Index? BMI is a relatively quick, inexpensive and fairly accurate method to calculate health risk as it relates to height and weight. A lengthy calculation is used, but now days there are charts and even websites that allow you to enter your height and weight to obtain an immediate result. For adults between 19 and 70 years of age, a BMI of anywhere from 19 to 24.9 is considered a health weight. A BMI of 25 to 29.9 is considered overweight, 30 to 39.9 is considered obese and over 40 is very obese. A BMI of less than 19 is considered unsafe and may represent malnourishment. Although BMI was used in the study, for many years after its conception it was not commonplace for clinicians to calculate BMI on children and teens 19 years of age and under. That said, height and weight are measured at each and every medical check-up. The study referenced above involved 43,000 children from England. The scientists recorded height and weight of infants ages 28 days to 90 days, and toddlers ages 35 months to four years. After calculating the latter group’s BMI, investigators applied the term “overweight” to those with a BMI above the 85th, and “obese” to those above the 95th percentile. The proportion of overweight children increased substantially during the ten year period, from 14.7% to 23.6%. The percentage of obese children rose from 5.4% to 9.2%. The infants did experience a slight increase in weight, however there was no increase in the number of infants whose weight exceeded the 85th and 95th percentile. The investigators concluded that excessive weight gain in children occurred between infancy and preschool age, and that obesity prevention efforts should begin prior to preschool. William H. Dietz, MD, PhD, of the U.S. Centers for Disease Control and Prevention, warned that these increases in weight are likely to persist into adulthood. He expressed concern that Type 2 Diabetes is on the rise among children and adolescents, and that obesity increases their risk for cardiovascular disease, hyperlipidemia and hypertension (high blood pressure). Dietz called for a return to family mealtimes, promoting breastfeeding, encouraging physical play and discouraging sugary foods as a solution. Intervention is necessary to thwart the rise in childhood overweight and obesity rates, which are now rising even among preschoolers. Related: Female Weight Gain – Why Am I Gaining Weight? Does Vitamin D Help Prevent MS? 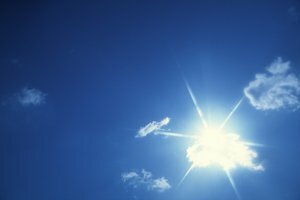 With the release this month of a new study out of Australia (first appearing in Neurology), the evidence continues to mount in support of a potential (and at this point probable) link between high levels of vitamin D3 (cholecalciferol – the “sunshine vitamin”) in the blood and a reduced risk of developing multiple sclerosis (MS). While the scientists responsible for the study were careful to point out that the research involving 611 people who had not been diagnosed with MS at the time of the study established a link only between increased sun exposure and a corresponding decrease in the probability of developing MS. The study did not definitively establish that increased levels of vitamin D in the blood were the cause of the reduction in MS risk, or for that matter whether that was merely a byproduct of sun exposure with no direct bearing on the prevention of multiple sclerosis. In recent years it has been learned by way of scientific research that more than 20 different diseases, illnesses and adverse conditions are brought about (at least in part) by vitamin D deficiency. Granted, even if a conclusive link is determined to exist, more research would be needed to determine if high levels of the nutrient were the preventative mechanism or if the disease was brought on by vitamin D deficiency and/or the compromised immune system resulting from the nutritional shortcoming. That said, back in 2006 a study by the Harvard School of Public Health was published in the Journal of the American Medical Association linking Vitamin D to a lowered risk of MS. In 2009, it was established by a team of Canadian and British researchers that vitamin D deficiency by a mother during pregnancy and an increased risk of developing multiple sclerosis in people with a genetic predisposition for the disease. A study published in January of 2010 by researchers at the University of California found that insufficient vitamin D levels may be associated with a higher risk of relapse attacks in patients who developed multiple sclerosis during childhood. Now in 2011 we have a study by Australian scientists confirming a link between sun exposure and a lower risk of developing MS. That means that almost every year for the past five years, studies either confirming or implying a link between the nutrient and the disease have been published for all to see. In light of the many different studies by scientists from all around the world all arriving at the same or similar conclusions, it begs the quesiton of why are scientists from this most recent study so cautious about declaring vitamin D as a mechanism that can aide in the prevention of multiple sclerosis? Is the issue that these scientists fear ridicule from their peers if they were to tout a vitamin as a means of preventing an illness? Is the problem that the scientific community is not much of a community at all, with little-to-no communication between rival groups of researchers leading to a mass-ignorance within the community regarding research already completed by other scientists? For those of you who don’t know, vitamin D3 (cholecalciferol) is the form of vitamin D made within the body and is the product of direct exposure to sunlight. In the Australian study, the researchers determined that those who spent the most time in the sun had the lowest risk of developing MS or MS-related symptoms. They also found that those subjects displaying no signs of MS had substantially higher vitamin D levels than their less fortunate counterparts. While perhaps more research is needed to formally establish what most of us already strongly suspect is true, based on the available information it definitely appears likely that within the next couple of years science will conclude that the nutrient/hormone vitamin D3 helps prevent multiple sclerosis. While science may be paranoid about implying a relationship between vitamin D and the prevention of multiple sclerosis, this author sees the writing on the wall and will be upping the dose on his vitamin D3 supplements.